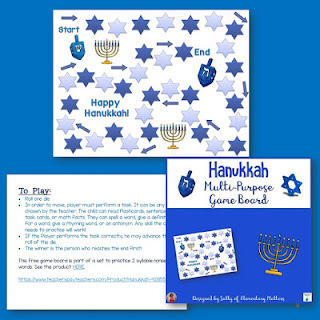 Enjoy the 8 days of Hanukkah with this game board! It can be played to practice a number of skills. The students can play with task cards, math facts, sight words, or more! Come on over to Elementary Matters to grab this Hanukkah Freebie!